The classical Greek civilization is the cornerstone of Western civilization today. The Greeks invented and developed everything from logic and democracy to rhetoric, drama, and philosophy. 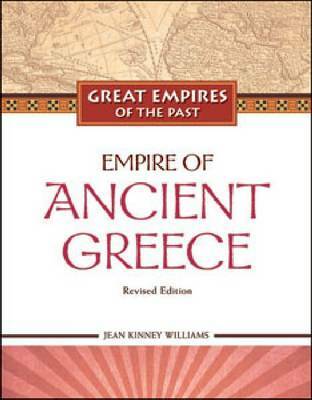 ""Empire of Ancient Greece, Revised Edition"" chronicles the remarkable legacy of the Greeks, as well as the diversity of their societies - from the thriving democracy of Athens to the militarism of Sparta to the oligarchy of Thrace. It explores the conditions that made it possible for the ancient Greeks to develop a culture that set the foundation for our intellectual lives today, and explains why Greek power eventually declined. Everyday life in ancient Greece, from the wealthy citizens who grappled in the Olympic arena to the farmers who found 50 different ways to use olive oil, is also examined. Connections in our own world to the ancient Greeks are numerous, including the Olympics, much of our classical literature, the scientific method, architecture, and many English words.